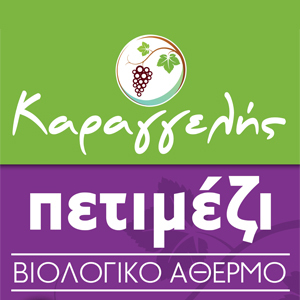 Concentrated grape must from 100% organic grapes of mountainous Messinia, full with energy, iron and calcium. The condensation takes place in our modern facilities, using special art processing unit which ensures excellent product quality since it is done under low temperatures, maintaining the utmost nutrients and aromas of the grape. This product has a huge difference from the classic grape syrup with dark black color that we all know. The slightly lighter color proves that our product is not “burned” and that it was created under ideal conditions, making it of excellence quality. The whole process is certified by ISO 22000: 2005 and by the institution of biologically products DIO. It is being used solid in shots for instant energy enhancement. It also appropriate for cooking for marinating meats and various salads giving them combined with vinegar a sour taste. It is used also in confectionary instead of sugar.